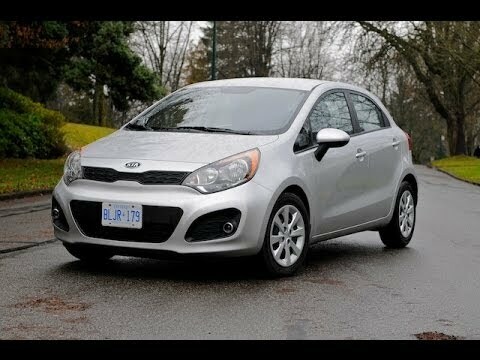 A longtime also-ran, the Kia Rio is all-new for 2012 and my, what a transformation it's undergone. More daring bodywork, compelling standard and optional features, an efficient modern powertrain, and excellent value should help the Rio finally find its share of the spotlight. The Kia Rio is a reliable car. The Kia Rio has been a good car for me. It gets great gas mileage; approximately 32 miles per gallon. It handles well in snow. I have driven in a fair amount of snow with no problems and it does not slide around. It starts in very cold weather also without plugging it in. Mine does not have a lot of features, but it has satellite radio which I like. I haven't had any issues with the Kia Rio and I also like how you can get into small spaces with it because it is a small car. I am very happy with my Kia Rio! Kias come in many shapes & sizes & I would recommend Kia to family & friends. My Kia Rio 2012 has been excellent with no problems I just use jiffy lube 2x a year & les Schwab and did Replace 4 tires from them. I have bought 3 Kias & had no problems. I always have had reliability with all of these. My Kia has a button eco & it gives great mileage - 36 mph. The dealer where I bought my Kia gives me free car washes & vacuums free anytime I go there. It is a small car but big in tech and space. I love that my car is smaller and is a hatchback style car. The technology of the car is very nice. The only real complaints I have is the road noise that can be heard when the car is being driven at higher speeds like when you are on the highway. I wish the seats in the back would fold in multiple ways to provide more ways to customize storage.